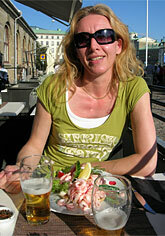 Address: Stora Tullhuset, Packhusplatsen 7, at Gothenburg harbour. 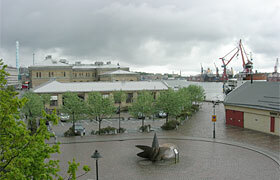 In 2002 Göteborg opened the first casino. 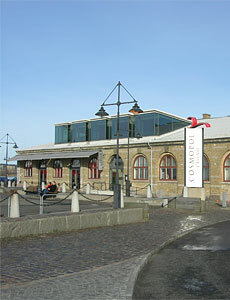 In the historic old Customs House on the waterfront the Casino is located. Today casino - for over 100 years ago many emigrants gathered in the Customs House to begin their journey to the promised land America. For those who love games, food and entertainment - visit the casino and try your luck. Casino Cosmopol AB is a subsidiary of AB Swedish Games. It was the Swedish government who gave the Swedish Games a assignment to start casinos in Sweden. From the planned six casinos in Sweden it ended up with four.Today, there are casinos in Gothenburg, Stockholm, Malmö and Sundsvall. 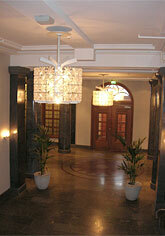 2002 opened Gothenburg's first casino in the Customs House at Port of Gothenburg. It had been a little interesting about emigrants at the end of the 1800s had been told that about 100 years later, there will be a casino here! Before yoy sought the luck in the United States now seeking luck at the casino. Cardplay and this and that. Here are several different card games to choose from. In their poker room you can play against each other in tournaments and cash games. The poker room in Gothenburg is one of Europe's largest! You can also play blackjack, Texas hold'em, 7-card stud and Omaha Hold'em, Caribbean Stud Poker, or why not a little poker with after work on Fridays. For those of you who think of nothing but poker, there are roulette, punto banco (baccarat), Big Wheel and slot machines. The restaurant serves lunch, dinner, and brunch. Do not miss their summer terrace - feel free to test their shrimp sandwich, yummy, we say. 20 years of age and entrance fee. A little-known word in the card game: All-in, Bad beat, bring in, bullet, cold deck, deuce, high card, muck, ryal flush. Choice of 42 gaming tables and 356 slot machines. 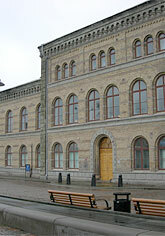 Tullhuset/The customs house was built during the years 1865-1866 by the City. It was here that the emigrants in the late 1800s and early 1900s had to show their ID documents before leaving Sweden for his big trip to America. Before departure it is said that the Church service was held at the Customs House. Between 1850-1930 left about 1.2 million in Sweden, most of them went from Gothenburg to Ellis Island outside New York. Between the years 1867-1973 the house was used by the Customs Administration. Some years after the start of casino opened Emigrants house on level 2 - a meeting place for family history, children and immigrant issues. Here you can also genealogical research after your emigrants.